Agave geminiflora, or Twin-flowered agave, is a striking specimen in the low-maintenance landscape. 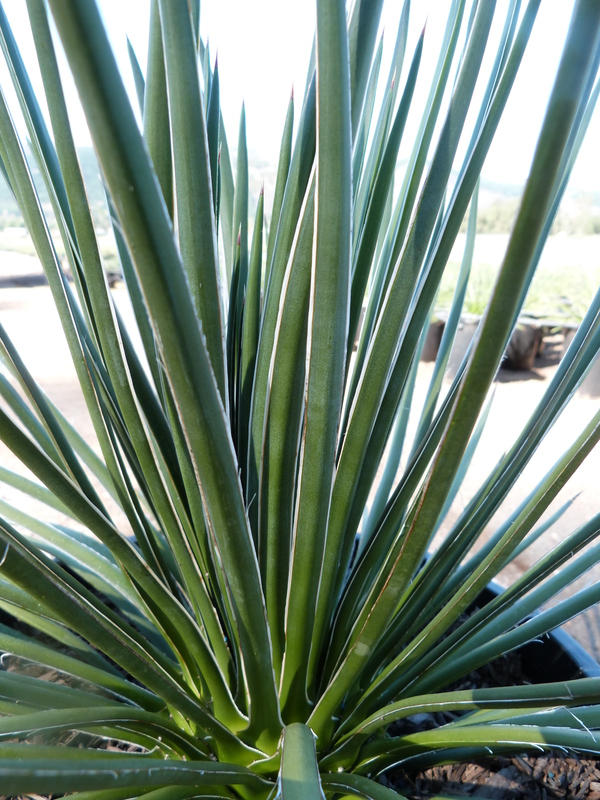 Its fine textured dark green leaves offer a very different look compared to most agave species. Twin flowered agave has only a single spine at the terminal of each leaf, making it a bit safer in high traffic areas than heavily spined agaves. Leaves are more flexible than other agaves and have white hairs sporadically along the leaf. Agave geminiflora is extremely symmetrical and has a rounded starburst shape that matures at 2-3’ tall and wide. Yellow flowers appear in pairs on the 10- to 15-foot bloom stalk, giving the plant its species and common name. This agave will thrive for about 10 years until it flowers. Twin flowered agave performs best in full sun but can tolerate some afternoon shade, especially in warmer regions. This agave is not as drought tolerant as other agaves and will need some supplemental watering during the summer to avoid browning and loss of color. Plants are cold hardy to about 20 F degrees, so make sure to containerize in colder regions.